Dwayne Perreault − One of my pet peeves with Spain is the lack of interesting white wines with recognizably individual characteristics. Yes, you have some affordable and tasty Ruedas if they are made from 100% Verdejo, nice drinkable wines with fresh fruit and citrus flavours, but I tend to tire of Rueda pretty quickly. I'm rather bored with oakey, vanilla-rich Viura-based blends from Rioja. Somontano has built its reputation on varietals made from Chardonnay, Chenin Blanc and Gewurtztraminer, but do these compete with similar wines from Burgundy, the Loire or Alsace? The same could be asked about the oaked Chardonnays of Penedès. Why bother when you can get the real thing from Pouilly-Fuissé and even Meursault for about the same price? Finally, there are some amazing Albariños from Rias Baixas, but they also cost a pretty penny and are not always worth it. So now for something completely different: a dry Moscatel de Alejandria (Muscat d'Alexandrie), a Vino de la Tierra de Granada Sur-Oeste by Bodega Horacio Calvente. As far as I know this wine is not available in The Netherlands but I happened to bump into it while visiting Granada two years ago. It was a lucky find, and I brought a box home with me. That was the magnificent 2006 vintage, which was later singled out by Neil Beckett in his annual 1001 Wines You Must Try Before You Die. I had no idea at the time that this was considered one of Spain's best wines and is served in the nation's top restaurants. I paid around €9 a bottle. Muscat d'Alexandrie is a grape with a high sugar content and is usually used to produce fortified sweet wines such as Muscat de Rivesaltes. When the wine is vinified so that the sugars are mostly converted into alcohol, the result is an incredibly dry and alcohol-rich wine, but here with delicate nuances of stoney minerals and notes of grapefruit and tropical fruit and an almost grappa-like aftertaste, without the burn. Don't be fooled by the 12,5% on the label; a few glasses of this in the afternoon will give you a good glow. Dangerously drinkable, both thirst quenching and appetite whetting at the same time. My girlfriend was recently back in Granada and brought back two bottles of the 2007. The price rose, as is common in Spain, from €9 to €12. 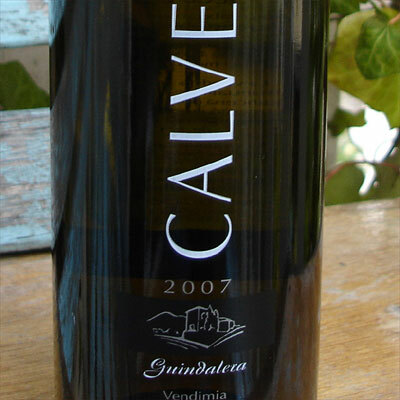 I feel confident in saying this is a slightly lesser vintage than the 2006, with the alcohol winning out at the expense of the delicate fruit—maintaining that balance seems to be the main challenge for Calvente, growing 40 year old vines at an altitude of 900 metres. Don't get me wrong, this is still excellent wine. It's hard to beat the 06, which had a tiny bit of residual sweetness. The 07 is more gripping and austere, but should be considered on its own merits. 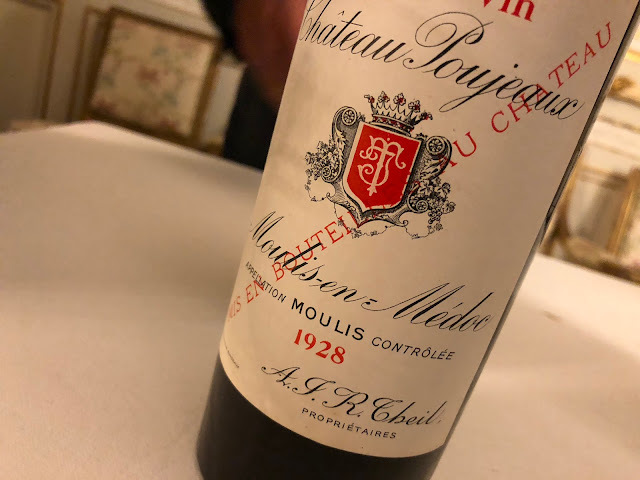 It's a fascinating, powerful wine made in a style that is not seen much these days at this level.